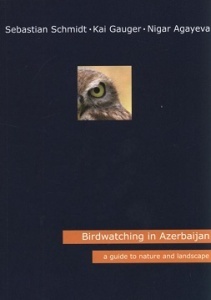 The first comprehensive nature guidebook to Azerbaijan - it covers bird species as well as detailed landscape and nature descriptions. Filled with details, it will also take you to the country's remotest corners, describe its natural highlights and assist you with practical hints like finding a place for the night. Azerbaijan, located at the very border of Europe and Asia, is a country of sharp contrasts: alpine mountain ranges and lush forest, dry semi-desert and vivid wetlands are in close proximity to each other. This publication by the Michael Succow Foundation presents Azerbaijan's amazing birdlife and illustratively depicts why this is a country worthwhile to travel to. An audio CD 'Listening Landscapes: Sound Excursions to Nature in Azerbaijan' (running time: 74 minutes) accompanies the book. 'Visitors to Transcaucasia with an interest in wildlife will welcome the publication of this new birdwatching guide' - Michael Patrikeev, IBIS - 'The Journal of the British Ornithologists' Union'. 'The book provides a mass of valuable information for an independent traveller, and easily fits into the pocket of a backpack or travel bag. Just looking through the illustrations may inspire you to visit Azerbaijan or learn more about its natural and cultural treasures' - Michael Patrikeev, IBIS - 'The Journal of the British Ornithologists' Union'.